Dadvances towards the Treaty of Aachen returns to Emmanuel Macron. The idea of ​​an in-depth friendship with Germany had previously been stimulated by the French debate. In his speech at the Sorbonne in Paris in September 2017, however, Macron made the new friendship treaty a draft of his mandate: "First of all, I propose a new partnership for Germany, we will not always agree on everything. or not always immediately, but we'll talk about everything. " With almost exuberant enthusiasm, the young president of the university announced that he would sign a new Eliseo treaty on January 22, 2018. The negotiations then continued for a year longer than expected. This was not due to Macron's tireless efforts to get sympathy in Berlin. His offensive appeal continued despite the jokes and the swelling protests of "yellow jackets". 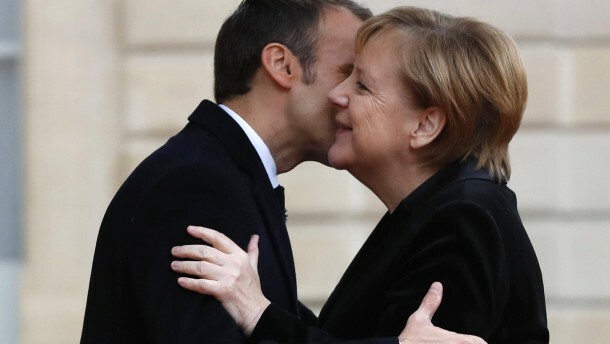 "If you do not understand the words of France, you can always remember that France loves you," he said in his November speech at the Bundestag. From a French point of view, the discussions on defense policy have been particularly harsh. This was not due only to the rules of the German parliamentary army, which make a common use of the Franco-German Brigade as effective as possible. In Berlin, according to French estimates, there was almost no movement in the rules for arms exports that Paris wanted to harmonize. In the Treaty of Aachen remains in the letter of intent article 2, "both countries will develop a common approach to arms exports in joint projects". The divergent rules for military missions abroad are not dealt with in the Treaty, but Berlin and Paris mutually assure "cooperation between their armed forces in view of a common culture and joint operations". Another divergence in security policy is hidden in Article 6 of the Treaty. The last sentence concerns cooperation on counter-terrorism and police investigations: Germany and France have established "a common unit for stabilization operations in third countries". Behind this is the original request of the French president to establish a Franco-German military intervention force, which should be able to intervene rapidly, for example, in crises in African countries. The reasons for this restriction – as in the case of arms exports – are more likely in the social democratic partner of the federal government. While the Ministry of Defense (led by the CDU) was in solidarity with the French proposals in military cooperation and the German minister Ursula von der Leyen, together with her French colleague, supported the role of a pacemaker, presented (led by SPD) very reserved Foreign Office in this area. In the budget it is now from the Chancellery of Berlin that the agreement is just "a work contract", which regulates the interaction of the German-French community of action in many fields; Some of these had to be attacked concretely now. Even in the Eliseo, satisfaction prevails over what has been achieved. The President's Advisory Council states that, following the reconciliation treaty of the Elysée, the Treaty of Aachen creates the framework for ever greater convergence between the two countries. This is a strong signal given the trends in dissolution in Europe and the prospect of a Brexit. But obviously it is not just about symbols. The 16 pages of the agreement testify to the common desire to exclude virtually no cooperation in the future.